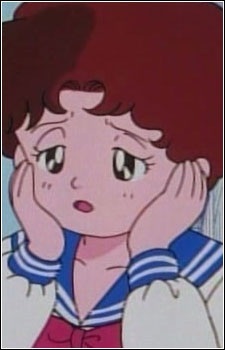 Usagi's friend was a background character appearing mainly in the first season of the anime, notable for being significantly shorter and chubbier than most of her anime contemporaries. A female student of Juuban Municipal Junior High School, Usagi's Friend was known to associate with Usagi Tsukino, Naru Osaka, and Gurio Umino. Despite being keen to lose weight, she was still quite confident in her appearance and apparently considered herself to be more attractive than some of her friends.